Kirk Morris in ATLAS AGAINST THE CZAR. Or me against Youtube. Thanks to all of the support. It really means a lot to me. I need to clarify a few things since my post yesterday. If the titles of the uploads are too much alike, Youtube's bots will consider the channel as spamming. This is a problem with the genre since PEPLUM titles pretty much sound alike. In fact, it's one of my constant subject here at the blog since the beginning: CINEMATIC CONFUSION. A lot of titles sound alike. I have clips of the same film, which makes my channel appear to be spam. And the actors in these films are nearly always the same: Steve Reeves, Gordon Scott, Mark Forest, etc. So it's difficult for the channel not to appear to be spam when this aspect is innate to the genre itself. 2- A lot of people have uploaded my content to their channels. Bots see the same videos across dozens of channels. The bots then decide that my channel is made up of duplicated content. I've had channels since 2007. I've closed many channels since then. My old uploads still show up on other channels. In fact, I regularly get comments on my channel saying that this video or that one was already available on someone's else's channel. This happened when I uploaded an old clip for HERO OF BABYLON, which I've created for a previous channel. Now this video might be a source of problem if it's still available on someone's else channel. And finally, there's a major issue with my videos and with Youtube, and some others channels which I can't talk about (without giving them free publicity). It's an annoying and stupid situation, and adds needless frustration, more so since I can't talk about it. Youtube didn't do anything. Now because my content is available on other channels, my channel was struck down for 'duplication.' That channel is one of the main reasons for my problems. Youtube's attitude is I need to make a copyright complaint if other people steal my stuff but I can't since these films are in the public domain. Anyone can steal my stuff which is one of the reasons why I didn't want to mention this problem before. The only solution to this issue is to delete nearly all my uploads and start anew but with all different files. I can't use any of my previous works. This would be very time consuming but it also won't stop others from uploading my content to their channel and create this duplication problem again. All the content I've uploaded to PEPLUM TV was edited and created by me. Fan dubs, compilations, etc. I've never taken anyone else's stuff from someone else's channel and directly uploaded to my own channel. So this duplication issue is awful. I'm in a catch-22 situation. Thanks very much for your update on this important matter. 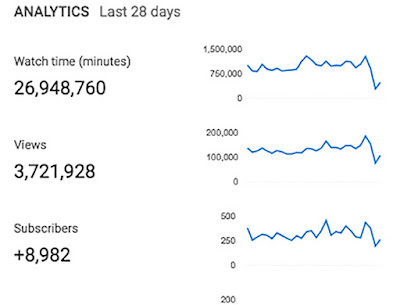 Even if things cannot be worked out with YouTube I think your daily weekday blog is very worthwhile by itself. Just caught up with the whole situation... what a shame. Don't know what to say really, but like Scott said maintaining the blog would still be worthwhile. After all these years it is still the first thing I check when I wake up every morning! I'm arriving a bit late to the discussion, but here's what's on my mind. I really hope you continue with your blog, even if you decide to not post as often as you've done so far. I stop by this blog pretty much every day, unless I'm away or very busy. The info your blog provides is invaluable to all of us who share your interest in this genre. I'm so sorry YouTube is sabotaging all your valiant efforts. I can't find any logic in any of their decisions. Please keep the blog going it is very informative and I have learned an awful lot. You are right I have seen other sites that have STOLEN your uploads. There's an interesting fact I have also seen some sites especially with Westerns where each one will have the same movies listed. Youtube seems to be very screwed up. Would it be possible to retitle some of these and make them sound different? You could place the original title in the description. As for the actors, you could even list them by their original names. Thus, Mark Forest becomes Lou D----. You could also watermark your versions too. I think it's a terrible shame that your channel has been restricted. Even though you gave my Italian Cinema book a terrible review (unjustly in my view, I love many of the great pepla and didn't set out to belittle the genre), I have been enjoying reading your blog and watching Peplum TV. The rarities you have fandubbed/subbed just haven't been seen anywhere else. Actually, I don't know where the problem is. Youtube put a restriction on my channel without saying specifically what or where the problem was. Duplication is a vague term. I'm thinking that those problems I've written above have helped make this unfortunate situation but it's not guaranteed. Anyway, how can I close other channels which have uploaded my content or prevent people from uploading my content. 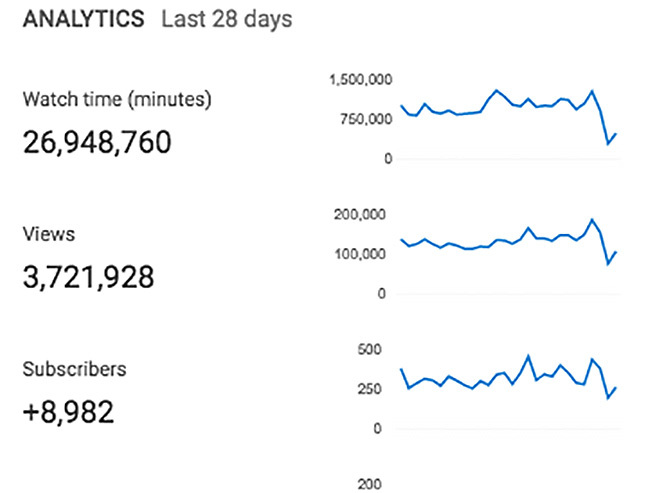 My channel is pretty much dead as it is.